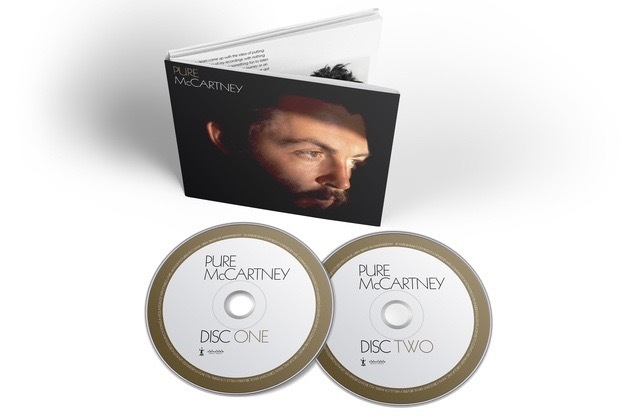 The three iterations of Paul McCartney’s latest “personal favourites” compilation, Pure, are interesting. 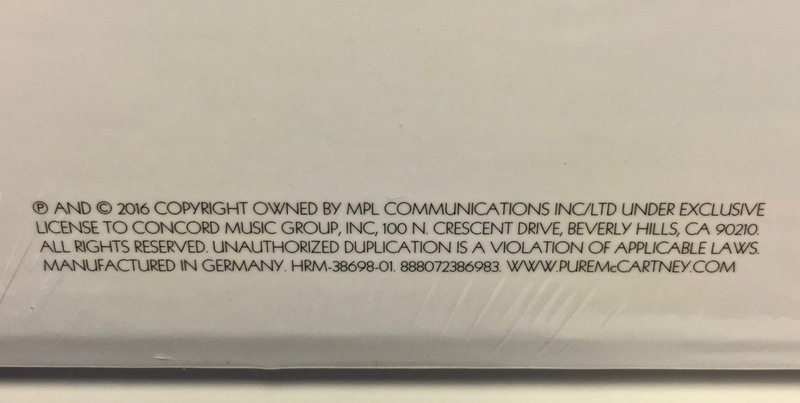 The small print on the rear covers of each of the formats and editions (2 CD Standard; 4 CD Deluxe; and the 4LP version) reveal that each are manufactured in different places, and one of them is very surprising. Once upon a time any CD with “Manufactured in China” stamped on it immediately aroused suspicions amongst collectors. That usually rings loud warning bells. And so China has been very much on the nose in the music business. But not anymore it seems…. Clearly the country is gaining a new credibility in the legit music business. It is definitely moving into the mainstream. 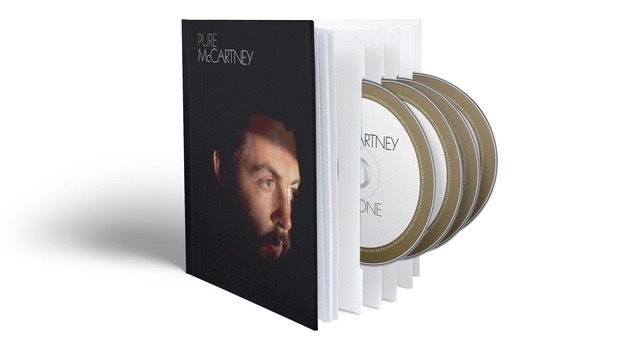 McCartney’s distribution company, Concord Music, must have shopped around for which companies internationally could deliver the best product at the best price – and a Chinese CD maker won the Pure contract – at least for the 4CD “book” style deluxe edition. We are seeing this more and more as Chinese manufacturers gain a reputation for making high quality items at affordable prices. It’s happening in the hi-fi industry as well, with some Chinese brands turning now out first-class speakers, amplifiers and players now. (If you’re interested in this sort of thing see also Where “Made in the EU” Vinyl Might Be Pressed and New John Lennon LP Box Set Pressed By Optimal Media). You might also like Some Unusual Asian Beatle Items Part 1, Part 2, Part 3 and Part 4. This entry was posted in Beatles, Beatles Collecting, Beatles Music, Paul McCartney and tagged Beatles, Beatles Collecting, China, Chinese, Paul McCartney, Pure McCartney by beatlesblogger. Bookmark the permalink. I wasn’t aware of this. Thank you for broadening my horizons! Wow i’m surprised CHINA is chosen as a source of a world wide release as important as this one… i’d rather see my precious cd’s being manufactured in japan, usa, uk, europe or others. It’s absolutely correct what the blogger states about bootlegs and piracy copies made in China. They’re awful. However, if dealing with legitimate cd productions, i’m not sure how it’d work. Hopefully they do ok with this one.